As every resin model, much care is needed when removing and cleaning the pieces, particularly the smallest ones, because the risk of damage is very high. As every other GBModelli kit I had the opportunity to review, casting is of the highest quality, flash is limited and very easy to clean and every piece falls in the right place without too much fuss. On instructions, stage 2 should be swapped with stage 1, because in stage 1 you can see the assembled chassis as it comes out from stage 2. A bit disorienting, but nothing more. As you would expect, assembling the anti-skid pads on the posterior wheels is the most critical step: there are 12 for each wheel, they are very small (although beautifully casted, with no imperfections) and they should be evenly spaced. Easier said than done. Better use a long-drying glue, so you will have enough time to move them along so that they will be in the right place. 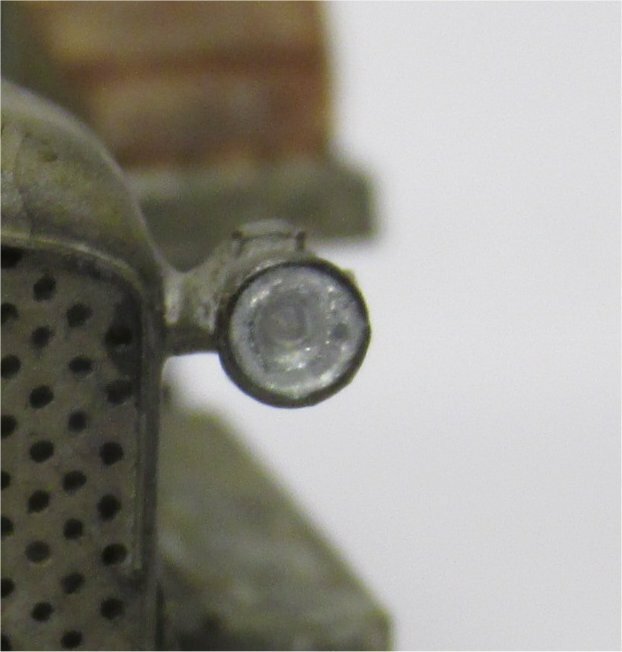 Some holes in the front grille are casting closed and should be drilled open instead. Drilling the front lights so that they become hollow, paint the interior silver and adding a drop of white glue gives the model a well-deserved additional depth. The color of every Italian vehicle during WWI was grigio-verde (gray-green), whose exact hue is difficult to determine, so almost every not-so-dark field gray would do. I do not think there was any numbering or symbols painted over the vehicle. Weathering is necessary because those vehicles did undergo extremely heavy use under every possible climatic condition, so I did my best with many layers of black/dark brown washing, light green drybrushing, gun metal and pigments. Some additional load on the external supports is visible in every picture of the vehicle, because very frequently they were not only used for towing guns but as mechanical mules carrying supplies to troops fighting in hard-to-reach regions, such as the Alps.